In the mid 1950’s a young man with an engineering background and experience in laundry equipment sales and service was hired to assess damage to the laundry equipment aboard the Swedish American Line’s M/S Stockholm after the ship collided with the Andrea Doria, near the Island of Nantucket. 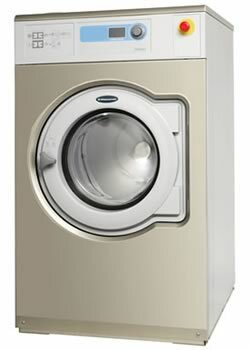 This was his first introduction to the Swedish-made Wascator (later named Wascomat) front-load stainless steel washers. He was extremely impressed that the machines remained functional after the water-filled laundry area was drained. He made inquiries to the Swedish company and eventually purchased a Wascator washer for testing and technical investigation. His testing confirmed his initial confidence in the Wascator machines. He was convinced that commercial front-load washers could revolutionize the industry. He obtained the sales and marketing rights for Wascator machines in North America and, since he ate lunch at the “Automat” and liked the sound of the name, decided to use the name Wascomat for marketing. He seized the opportunity and the industry was changed forever. Electrolux, which later purchased Wascator, credits Wascomat’s growth in North America to the extraordinary marketing efforts of this young man and his team. Since then, Wascomat has become one of the most popular and dependable commercial laundry brands in North America thanks to the vision of its founder, Bernard Milch.